Psalm 122:1 “I was glad when they said unto me, Let us go into the house of the LORD.” We had wonderful services this weekend. It was wonderful to have the opportunity for many of our folks to gather together for singing, testimonies, preaching, and fellowship! 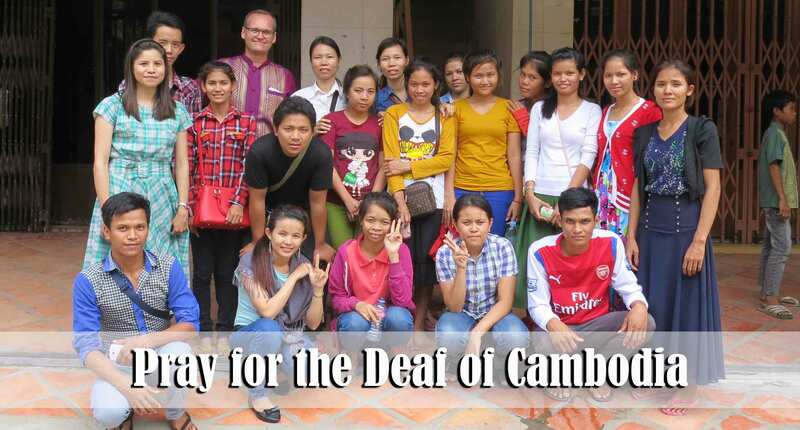 We thank God for the blessing of allowing us to serve Him here in Cambodia. Indeed, God is good. The ladies sang a beautiful song this morning. 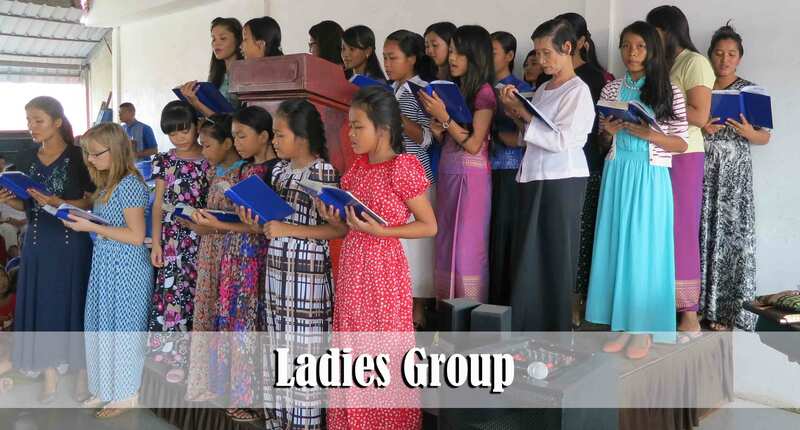 Thank God for their desire to glorify the Lord through their voices! It was a special blessing to see the young girls in the front row at church in their new dresses this morning. Thank God for one of the ladies in the church who was burdened to provide them with new clothes. She recently had these dresses custom made for these young girls. I thank the Lord for fellow team members and nationals who are allowing their lights to shine! It was a blessing to have our English ensemble sing the song, “Even in the Valley God is Good.” They did a great job and the song was a blessing to us all. Of course many in the congregation can not understand the words in English. Before the song was sung one of our men translated the basic meaning so that they would know what the song was about. You can click on the video below to hear a small sample from this song. Isaiah 9:2 “The people that walked in darkness have seen a great light: they that dwell in the land of the shadow of death, upon them hath the light shined.” It was a particular blessing to have these folks sing a song about the change that has taken place in their lives since they have been saved. Mr. Hem, the man playing the stringed instrument on the left hand side of the picture, was saved out of Islam. For many years he was a slave to the devil and was literally possessed with demons. His testimony of coming to Christ is truly an amazing one and a testament to the power, patience, mercy, and love of the God of creation in calling sinners to Himself. It was a blessing to have Pastor Tomlinson and his wife visiting us from California this weekend. Their love for the Lord and for the Lord’s work was a blessing to so many of us. We were particularly blessed to see them investing their retirement years for the cause of the gospel in the 10/40 window. The time that we were able to spend with them will not soon be forgotten. Zen shared an awesome testimony this morning about how he came to Christ and about the changes that have taken place in his family because of the power of the gospel. He shared about the fear he lived under for many years because of the oppression of the devil upon his family. For many years his father, Hem, was known as the “crazy” man in the village due to the fact that on a regular basis he became possessed by demons and terrorized those living in the village and surrounding villages. Zen came to Christ because of the testimony of his father’s changed life after being saved. 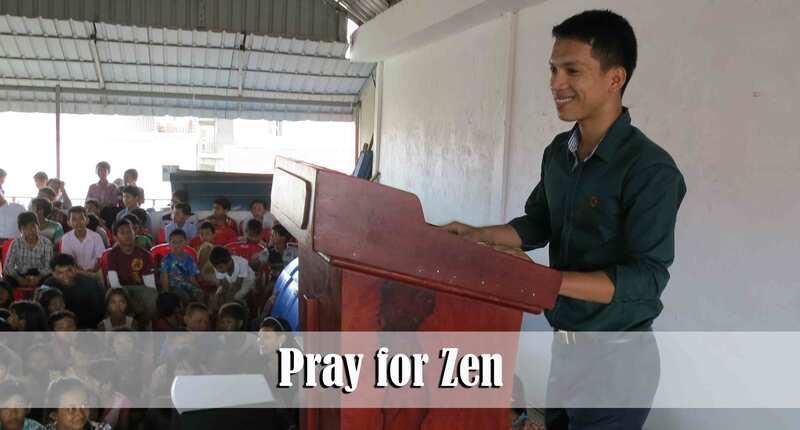 Pray for Zen to continue to walk with the Lord and grow in the grace and knowledge of the Lord Jesus Christ. 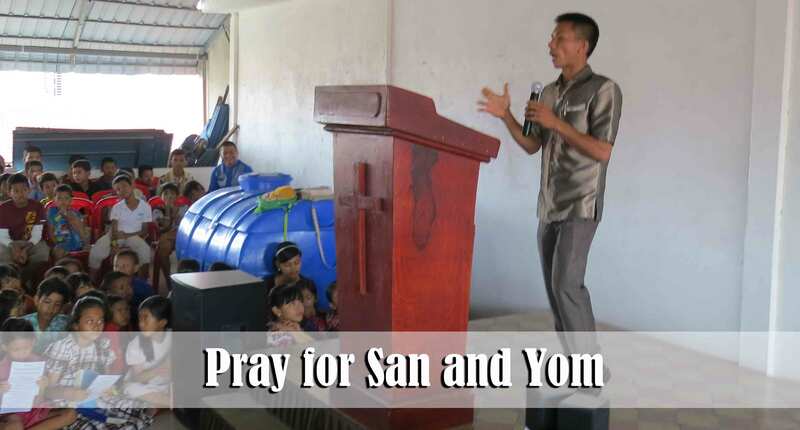 We are thrilled to see what God is doing in the lives of San and Yom! This morning San shared a testimony of his salvation and calling to serve the Lord. Please pray for this young couple as they are taking steps to begin serving the Lord full-time. 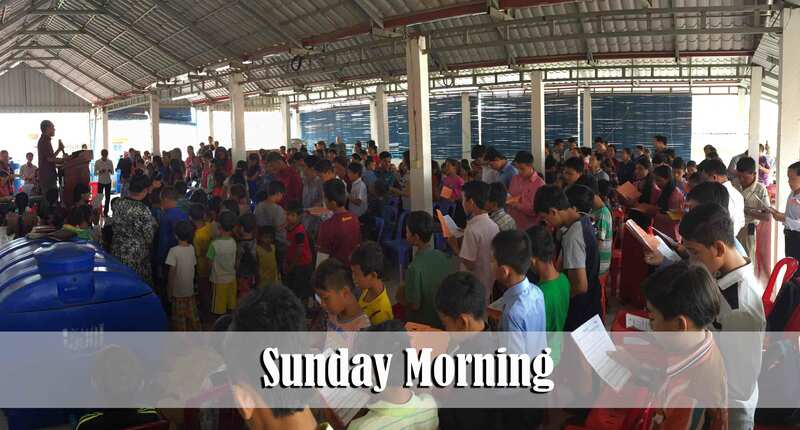 God is using them in a phenomenal way in the village ministries in Kompong Chhnang and I know that as they are able to increase the time that they are able to serve the Lord, there will be much eternal fruit that remains. Taiwan and SokEang have grown in the Lord so much over the past year. God used Bro. 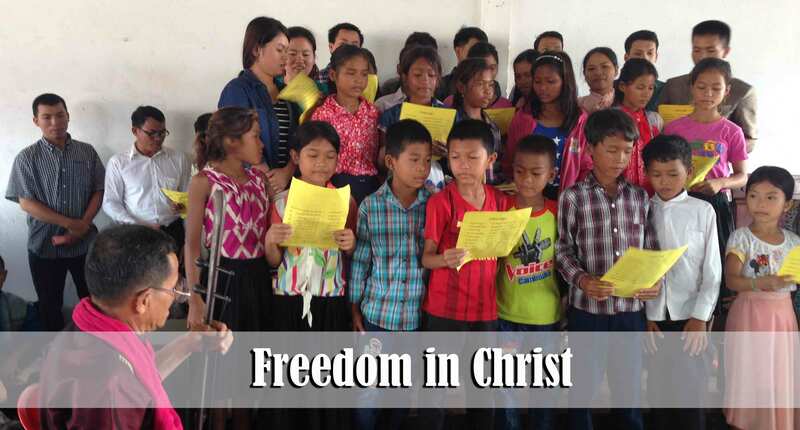 Keo to lead them to Christ several years ago and it has been a blessing to see how they have slowly and steadily become committed followers of Christ. During our service this morning Taiwan read a prayer letter from one of the national missionaries that our church supports and then led in prayer for God to provide for their needs. 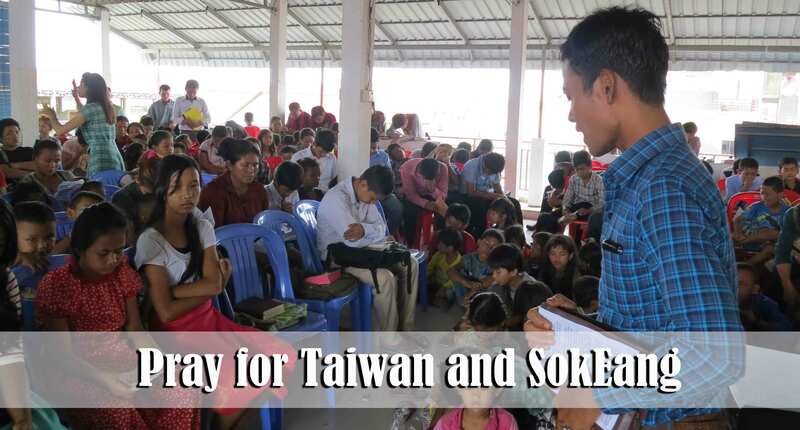 Pray for Taiwan, SokEang, and their three children to continue to live lives that are honoring to Christ. 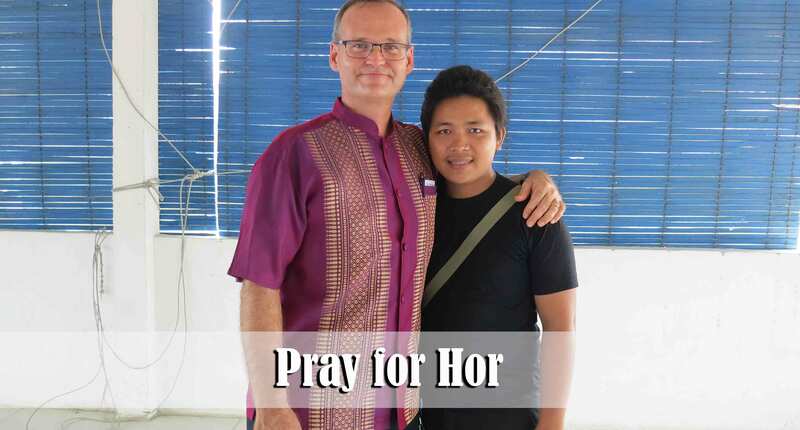 Hor is a 24 year-old deaf man who visited church this morning for the very first time. 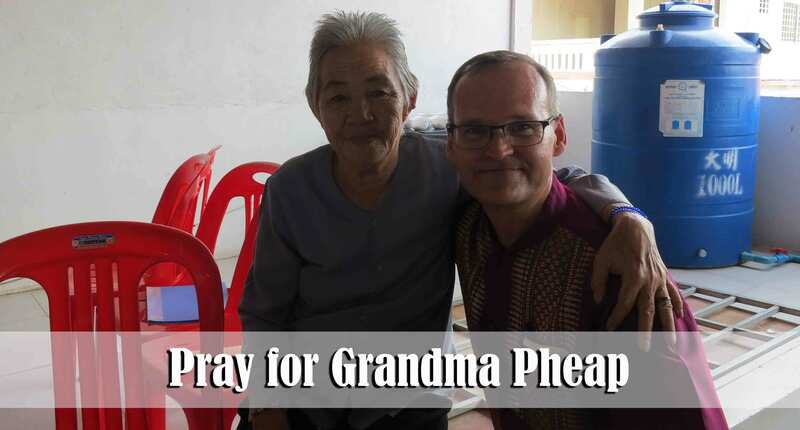 Miss Grace and Sina have been working with Hor and his wife for awhile and have invested many hours in helping them to understand the gospel and their need of salvation. It seems that his heart is softening. I had the opportunity to speak with him for over two hours after our morning service. Miss Grace has truly been gifted by God to be able to speak Khmer sign language, and she was interpreting for me. We read John 3:16 to him and then I asked him an important question, “Did Jesus die to pay for the sins of just foreigners or do you think He paid for the sins of Cambodian people as well?” His answer was quite sad. 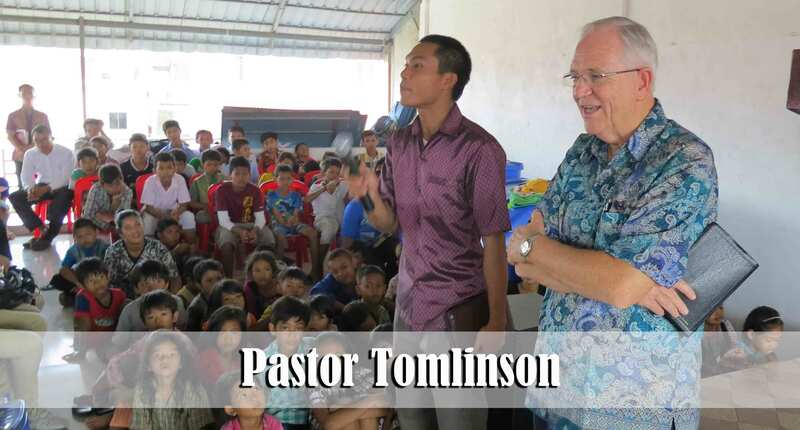 He said, “I am sure that Jesus died to pay for the sins of Americans but I’m not sure if He paid for the sins that Cambodians commit as well.” He was so happy to hear that his sins were paid for as well and if he would only believe upon the Lord Jesus Christ he could be saved. He was not ready to get saved yet but it seems that he might be close. Please pray for the salvation of Hor and his wife. It was a blessing to have 18 deaf folks in the service this morning. 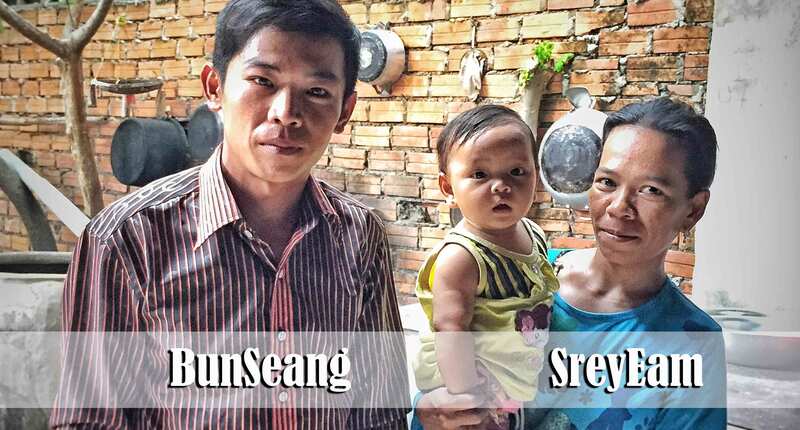 Please continue to pray for Grace and Sina as they invest many hours each week in trying to see these people come to Christ. 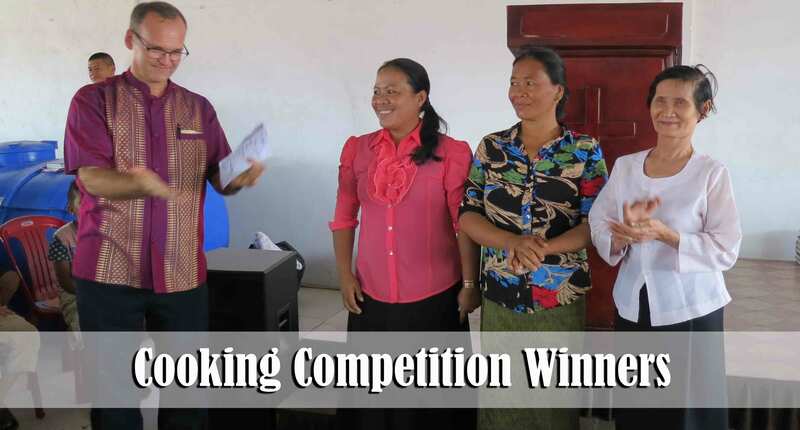 This Sunday we had each family cook a special dish at home and then enter it into a competition here at the church. It was a blessing to see so many ladies participate. These three ladies were the winners. I can promise you that if any one of them opened a restaurant I would be there! Thank God for the fun time we were able to enjoy during this competition! Below is a short video of our fellowship time after the morning service. It is always a joy to see the folks enjoying a meal together! It was a blessing to have BunSeang and SreyEam back in church this morning. We wrote about them several weeks ago. (https://goodnewsfromafar.com/2015/06/21/june-21-2015/) They both claimed they were saved. 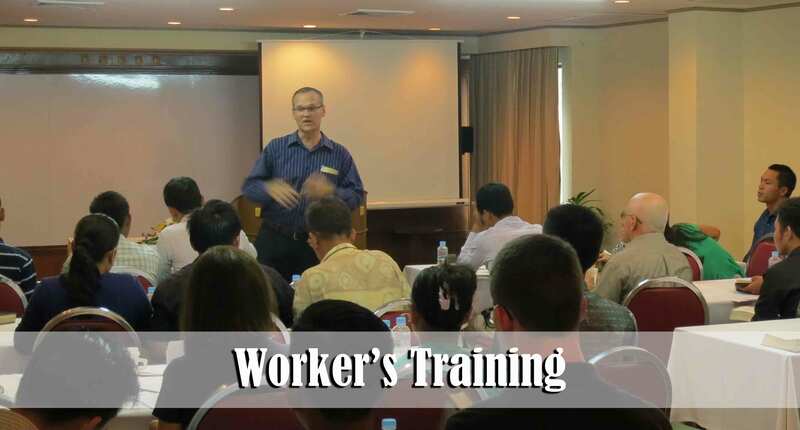 In fact, BunSeang had been involved in working for some type of church in the past back in his village. However, it seemed as if when we would speak with him and SreyEam, they did not truly understand salvation. It has been very difficult to catch them at home and to find a time to speak to them. Several folks from the church have been trying to get close to them as well in order to present the gospel. It was a blessing to receive a report from Bro. 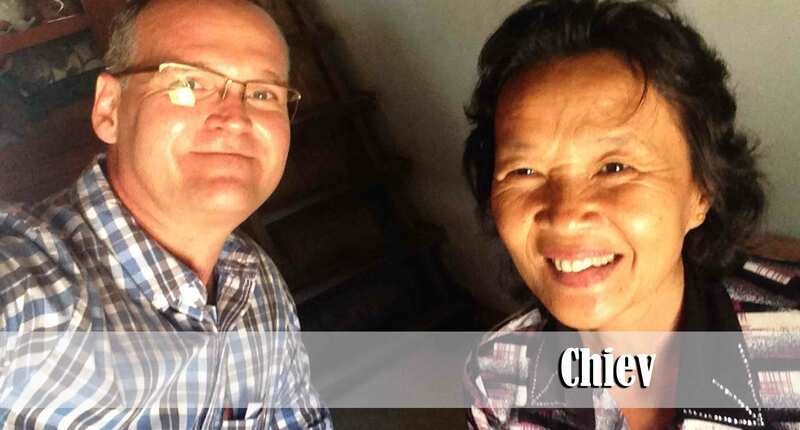 Vong and Man that BunSeang made a profession of faith this week. Please pray for him to grow in his walk with the Lord. Likewise, please pray for SreyEam to be saved. She admitted to Man that she is not yet saved. Please pray for Chiev to be saved. I have been going to meet with her each Tuesday morning in Prek Pnou for several weeks. She told me this past week that she understands the gospel very clearly and desires to be saved. However, she is not yet willing to stop offering sacrifices to her ancestors. She very clearly understands, from the Bible, that her ancestors can not receive any benefit from her sacrifices and that she is actually offering sacrifices to demons. (1 Corinthians 10:20) I am thankful that she understands that she must turn to God from idols in order to be saved and not simply pray a prayer. (1 Thessalonians 1:9) According to the Bible she must make that choice. She admitted to me that there is a strong spiritual battle going on within her heart. Pray that God will in a very clear and definite way bring her under conviction of her need of salvation and that she will repent and be saved! Debbie and I, as well as others, are working hard to get close to Map and SreyOeun. They sell vegetables from this stand down the street from our house. Yesterday Debbie went to purchase tomatoes from them. SreyOeun asked what she would be making and Debbie told her that she was making tacos. Of course SreyOeun had never heard of tacos. We had the privilege of making a plate of tacos and presenting it to them. They were so excited to be able to try our food. 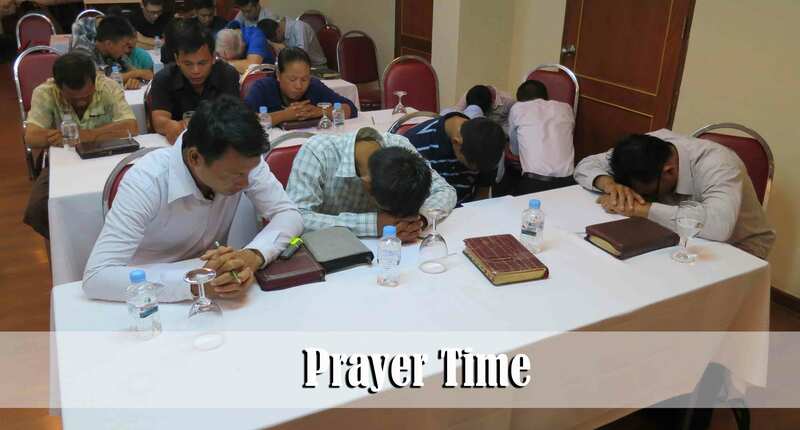 We had been told that each night they listen to the mp3 player we loaned them and they listen to preaching in the Khmer language. 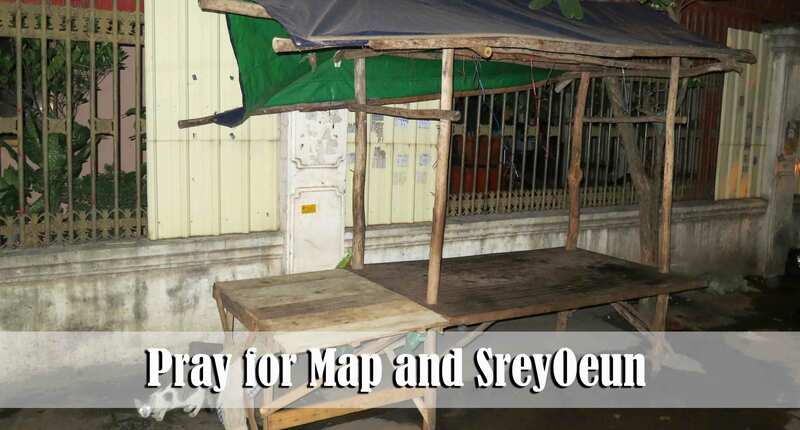 Please pray that Map and SreyOeun will be saved very soon! I am hoping to be able to start a small children’s group in Prek Pnou this next week. Recently I had the opportunity to go meet the parents of these children and let them know of my intentions. They all seemed to be in favor or me going to their village and teaching their children about Jesus. Although, one lady, when she saw me, ran into the house and yelled something to her children in Vietnamese for about two minutes straight…at which point her son came out of the house and made the hand motion for me to please go away… It’s sad how fast the smile was wiped off his face by an angry mother. 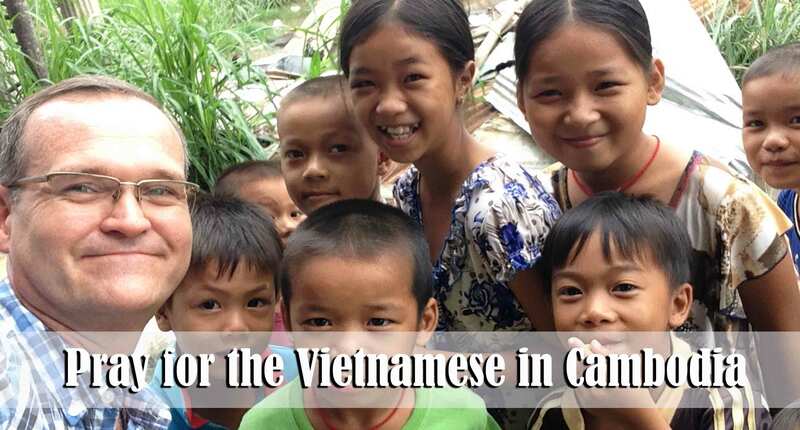 It is our goal to just gather a group of about 15 Vietnamese children in this village and begin teaching them stories from the Bible with the goal of planting the seed of the gospel each week. Pray that we will have God’s direction in this new outreach. Life in this village is quite a bit slower than life in Phnom Penh. You can click on the video below to see a quick view of the village. 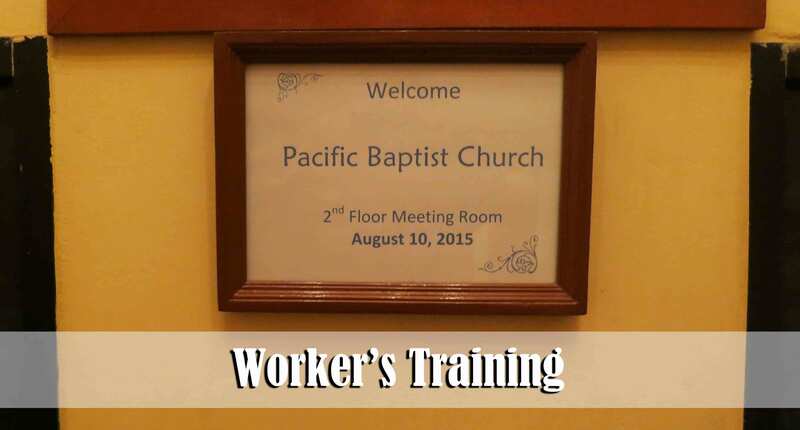 It was a blessing for us to be able to have our annual church worker’s meeting this past week. We were able to rent a room at a hotel not far from the church. 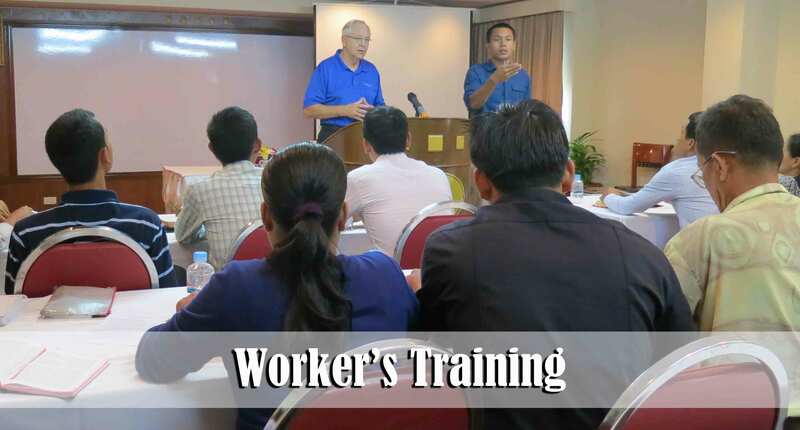 The training went from 8:30 a.m. until 3:00 p.m. The majority of our younger leaders were not able to participate due to the fact that they had to be in school but we were still thrilled to have over 40 of our leaders at the training. We began and ended the day with small group prayer. It was great to be able to pray with my group and to hear them pour out their heart to the Lord for His favor, direction, and provision for our time of training. We are so blessed to be surrounded by so many nationals who have come to Christ and who desire to do whatever God wants them to do. I taught the opening session on “Seven Important Characteristics of a Good Bride.” The church is espoused to be married to Christ one day. What type of a bride does He desire? Pastor Tomlinson taught two sessions that were very practical in regard to working together as a team and not giving up during the tough times. He reminded us of the spiritual disciplines that are imperative to be found in our lives if we are going to be able to minister to others. I know that his lessons were a blessing to everyone who heard them. Bro. Esposito taught one session from Luke 10:38-42 on the importance of spending time at the feet of Jesus and not just merely being busy doing, doing, doing. The session was practical and was a good reminder that we can only give to others what we have already received from the Lord. During the training we played a short game that illustrated a spiritual truth. The team member that was blindfolded had to try and color the rainbow on the picture through receiving instructions from their team members. At the same time they were to be listening for the voice of their team member, rival teams would try and confuse them and get them to color outside of the lines. 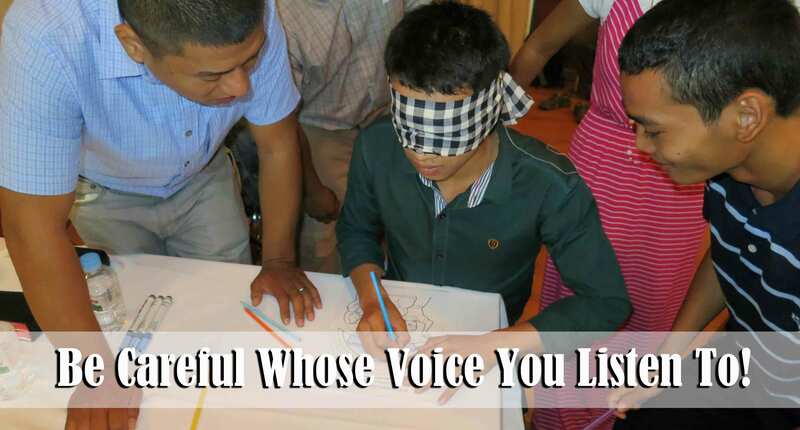 The game illustrated the fact that we must learn to be careful and exercise discernment as there are many “voices” all around us, each one calling us in a different direction. We must be certain that it is the voice of the Holy Spirit that we are listening to and not our emotions, the crowd, or the world. The game got very loud…You can click on the video below to see the workers having fun. 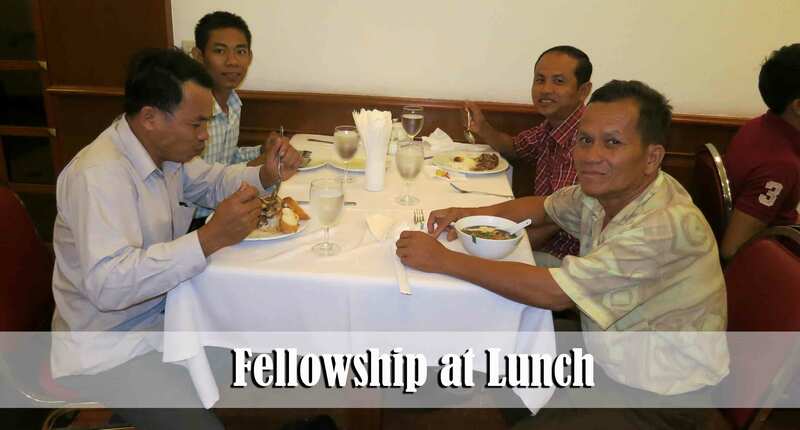 At lunch time we all enjoyed a good time of fellowship together at the restaurant there at the hotel. It seemed like everyone enjoyed getting to spend time together in this setting. One of the things that helps the church grow and encourages young Christians to go on for the Lord is the special efforts that so many of the nationals make to see that happen. This past week Bro. 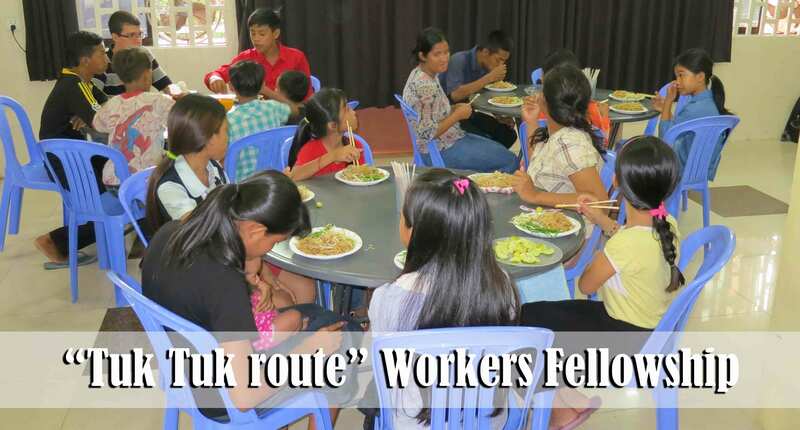 Vannak hosted a special fellowship for some of the young people who are on his “Tuk Tuk” route. It was a blessing to hear them up in the auditorium laughing and enjoying a time of fellowship in the Lord. We are blessed by Vannak’s love for his own people and for the Lord. Often times in life it is easy to grow discontent with our circumstances in life. It is always good to have reality checks every once in a while. While trying to reach out to a new family this past week it dawned on me that their family of 5 likely each had only two sets of clothing – the clothes they were wearing and the clothes that were drying on the line. The next time you grow discontent with your closet full of clothes, take a look at this picture! It’s a good reminder! Great update! 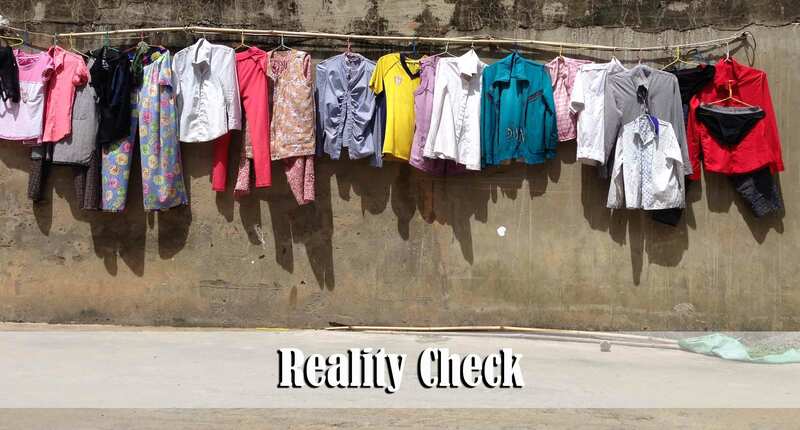 Especially like the reality check. What a blessing to once again read of God’s work through you and the dear believers there. Our God is so faithful. May we ever grow in our understanding and faith in our precious Lord Jesus Christ and His great provision to us. 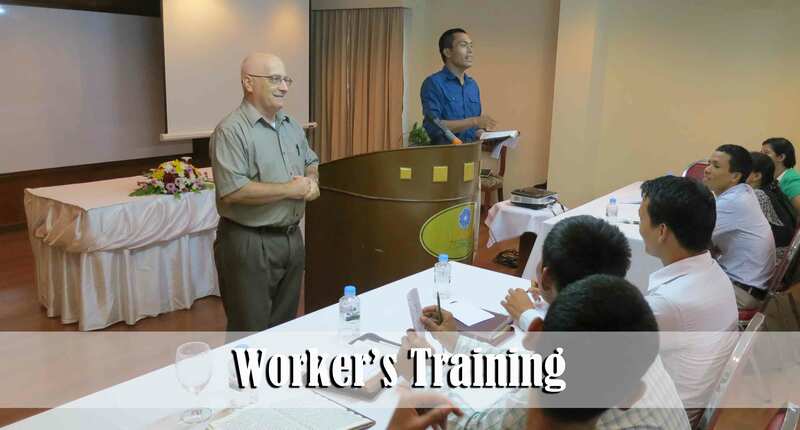 Thank you for the update and for serving in Cambodia! So glad to see fervency/results in all the team does!